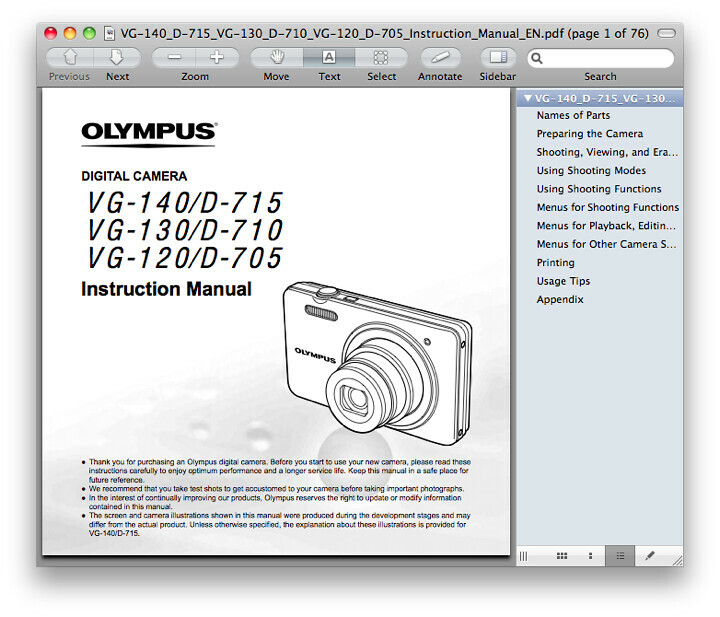 The English Language Olympus VG-120 user manual / operating instructions (Olympus calls it the “VG-120 Digital Camera Instruction Manual”) is now online and available for download at olympusamerica.com (right-click and save the user guide to your hard drive). If the download link didn’t work for you, go to the Product Support page for the VG-120 and manually locate the file “VG-120 Instruction Manual (English) (1.93 MB)”. Unlike with Nikon, Olympus allows you to freely print the VG120 owner’s handbook without building in any password protection into the PDF. The file size of 76-page Olympus 210 Adobe Acrobat PDF document is 2 MB (Megabytes). The guide discusses the features of the VG-120 and how to use the camera. 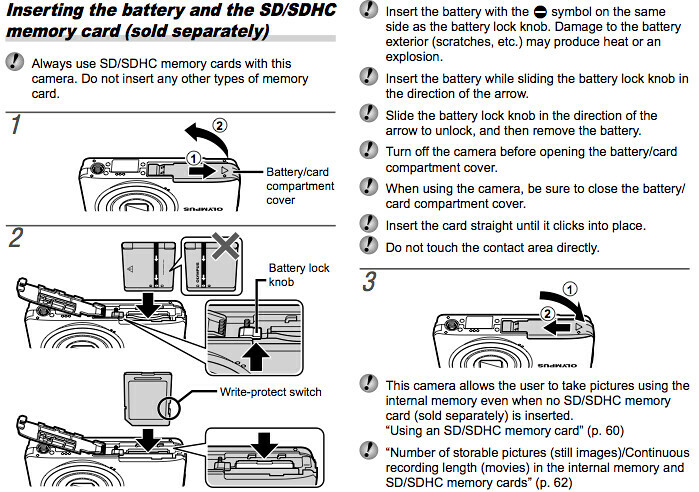 Proper insertion and use of SD and SDHC memory cards is explained on page 12. Popular Olympus VG-120 books and other printed literature and reading material in the Arts & Photography and Books section on Amazon.com.